This elegant tin Easter egg is filled with a delicious surprise: a collection colorful Easter eggs in dark, milk and white chocolate. The egg's decoration is inspired by the beautiful Impressionist paintings of Monet at Giverny. The Belgian chocolate Easter eggs are wrapped in cheerful foil and come in delicious gourmet flavors. 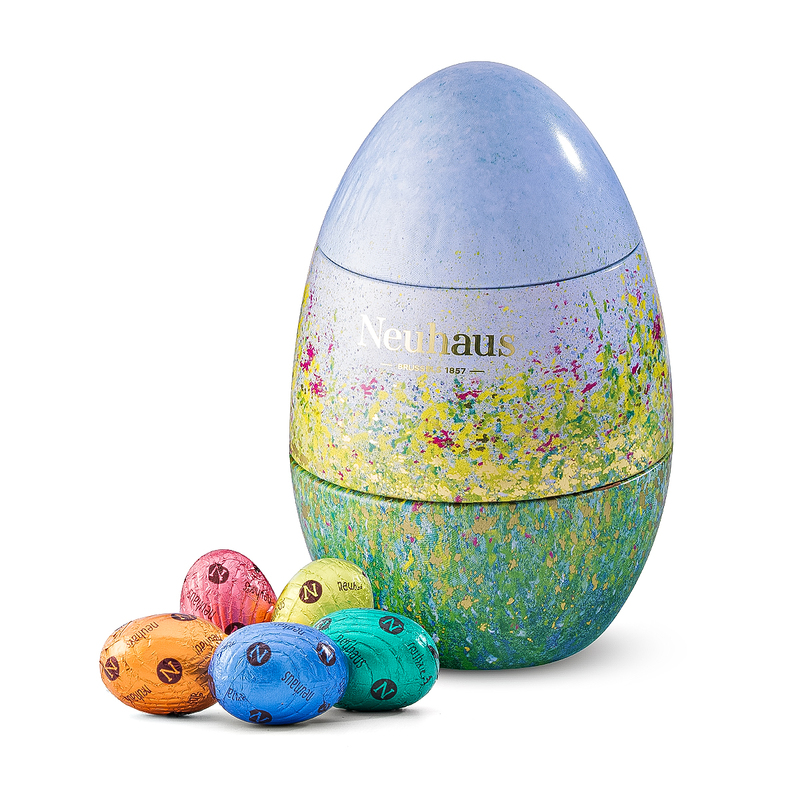 The Neuhaus Tin Easter Egg is a keepsake that is sure to be treasured. /- 18 Eggs, 200 gr.